You’ve seen advertisements for Personal Injury Attorneys many times and never gave them a second thought. Now you you’ve been hurt because of someone’s careless behavior or actions. Turn to The Phillips Law Firm, where you’ll find a Marietta personal injury attorney who’ll support you in your time of need. Dean Phillips will ensure that you receive the compensation you deserve so that you can pay your bills and recover your lost wages. If necessary, he’ll fight for you in court to make the wrongdoer take financial responsibility for your loss. Someone’s careless behavior often leads to another person’s injury, ranging from soft tissue damage to wrongful death. The wrongdoer contributed to the victim’s suffering by behaving or acting recklessly, neglecting to perform an action, or intentionally inflicting pain or suffering. Seeing a doctor after you have been injured is important as well. 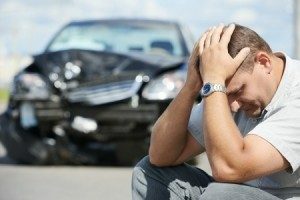 A Auto accident doctor can document your injuries and provide written documentation of those injuries to us when you have completed treatment. An injury has to be proved and the only way to do that is to see a doctor. In some personal injury cases, the actions of both people contributed to an accident, and the injured person must accept some responsibility. He will need a trusted personal injury attorney to help navigate the difficult case before him to ensure that he receives a fair settlement or professional representation in court. To show that you have a personal injury case against another person, you must be able to prove that person’s negligence. Did the wrongdoer owe a duty to you in some way? For example, grocery store personnel have a responsibility to keep their aisles clean, dry, and free of debris so that customers can move freely without fear of slipping or falling. Next, the wrongdoer must fail to meet that duty. The store employees left a puddle of water in the produce section from a faulty spritzer. Perhaps somebody left for her break and didn’t notify her replacement that the repair person would be late. Remember, negligence can be unintentional or intentional. After neglecting that duty, were you hurt as a result? If you slid through the puddle and broke your arm, then the store’s failure to meet its duty caused your injury. Finally, were your injuries or damages real and quantifiable in some way? Aside from the initial setting of your broken arm, you’ll have follow-up care and pain medication, and missed work. A Personal Injury Attorney is an advocate for you during a stressful period in your life, and you will need one you can depend on. Dean Phillips can see the big picture and help you navigate the settlement process. He will determine the aspects of your personal injury case and explain what you can be compensated for like medical bills and lost wages. He can assess you or your loved one’s diminished earning capacity or other financial needs that you may not have thought about. If your personal injury case must go to court, Dean Phillips will be an aggressive fighter on your behalf. He will represent you fairly and professionally to ensure the best outcome. He has successfully closed many Personal Injury cases, saving clients thousands of dollars and their peace of mind. If you have been injured, call Dean Phillips immediately. Get professional advice from a Marietta, GA attorney you can trust at (770)-900-9175.